An informal survey released by the National Association of Trade Exchanges (NATE) reports that the approximately 500 retail trade exchanges and brokers in North America generate $2 billion of incremental business for some 200,000 businesses. The new numbers show the average trade volume of an exchange in North America is between $3.5 million and $4.5 million annually. McDowell says his organization’s average member is doing $6.3 million of annual trade volume. While the average trade exchange in North America has between 350 and 400 clients, the NATE survey indicates their members have an average 670 clients. The NATE survey was a result of collaboration with ITEX president Steven White, who was instrumental in providing the numbers for the national exchanges. Editor’s Note: These North American statistics, plus the attendance at both association’s recent annual conventions of a combined 255 attendees, reinforces the industry’s malaise. Consider that it was IRTA’s 25th Annual Convention and NATE’s 20th. Another industry recently celebrated their 20th anniversary—the infomercial industry. It was launched in 1984 when then-President Reagan signed the Cable Communications Policy Act deregulating TV. The still-young cable networks, desperate for revenue, sold chunks of unsold air-time to the highest bidder, often at bargain-basement rates...and infomercials started popping up. From that modest beginning infomercials mushroomed, taking in more than $150 billion last year! The growth of the commercial barter industry, which actually started 45 years ago (20 years before IRTA and NATE were formed), sadly pales in an evolutionary comparison. In an age when people think of radio as television without pictures, there are still people who “watch” radio. I realize that this article is appearing in BarterNews, and the thrust of this tome should be “how to trade for radio,” which I’ll get to. However, the message I want to impart is: How to use radio—which is important, no matter how you acquire it. For those of you who go back far enough to remember how radio affected its listeners during the days of Fibber McGee and Molly, The Great Gildersleeve, and others, will attest to the fact that radio conjured up images in the mind’s “eye” that were more vivid than the pictures which fill today’s largest TV screen. The reason is that, sort of like a mental paint by numbers set, something was left for the listeners to do. Beyond the basic facts, like the Lone Ranger’s horse being white and his mask being black, we got to fill in the details. We decided the color of the checkered shirt on Rancher Jones and the size of the handle bar mustache on the bald headed gentleman behind the bar at the Dodge City Saloon, or the long gray beard and tattered Civil War uniform worn by the lonely soul who stood guard at Jack Benny’s subterranean vault. Radio still does its best work when it causes the listener to focus their imagination and, in some way, to relate to what is being said. Except for the revivals of classic radio shows syndicated (on a barter basis) there are few examples of long form drama on the radio today. But there are still lots of magical moments on radio, when the listener gets caught up in a thought, idea or situation. Then, even if for just a fleeting moment, the listener paints a mental image on the four dimensional screen of their imagination. Sometimes it’s a disk jockey’s quip, a thought provoking call on a radio phone-in program, an eye witness giving an account of a grim news story, a heart rending song, or a catchy commercial. When it’s a commercial that stimulates the listener’s imagination muscle, the chances are really good that the sponsor has a sale. In radio every commercial can be a front page, full size, or double-truck color spread for the thirty or sixty second duration of the time the commercial is on the air. On radio your commercial can make you sound as big and successful as General Motors, United Airlines or Coke. When the advertiser is successful in painting a picture on the screen of the listener’s imagination, the cost might not be any greater than the price of a two column black and white newspaper ad in the local shopper, or a series of three line classified ads. What works? The most effective radio commercials are those which inform, entertain and sell, without the exclusion of any of those elements. On the other hand, a commercial could win an award and be hysterically funny, but not communicate a message...and therefore fail. Having some of the world’s highest tax rates didn’t stop four Nordic nations from ranking among the six most competitive economies in the latest study by the World Economic Forum. Finland came in first for the third time in four years, with Sweden, Norway, and Denmark now joining it among the top six in the Geneva Institute’s 2004 study. The U.S. ranked No. 2 for the second year, and Taiwan was No. 4. The institute’s annual report on competitiveness scores countries on a mix of criteria it says are critical to sustained economic growth: the quality of economic policies, the fairness and transparency of public institutions such as courts, and technological prowess. The study placed two emerging power-houses, China and India, in the middle of the pack despite their recent meteoric growth in jobs and foreign investment. China ranked No. 46, down two places from last year; India was No. 55, up one place. BXI San Diego Fall Trade Fair will take place Saturday, October 23 at Party Pals, 10427 Roselle Street, from 10 a.m. to 4 p.m. For more information call (619) 472-2929. BXI Ventura-Santa Barbara & BXI West Valley have scheduled their Holiday Trade Fair on Sunday, November 7 at the Oxnard Courtyard by Marriott, 600 East Esplanade Drive, from 10 a.m. to 4 p.m. For more information call (805) 376-9466 or (818) 758-2929. BXI Inland Valley Fair will take place Sunday, November 14 at the Elks Lodge in West Covina, from 10 a.m. to 4 p.m. For more information call (909) 592-7727. BXI Nevada Holiday Trade Fair will be held Sunday, November 21 at the Speakeasy Convention Center, 200 E. 6th Street in Reno, from 11:00 a.m. to 3:00 p.m. For more information e-mail linda@bxinevada.com or phone (755) 829-2990. New England Trade will hold their 8th Annual Barter Expo on Wednesday, December 1 at the Danversport Yacht Club at 6:00 p.m. For more information call (781) 388-9200. The oldest and largest BXI fair is the Orange County Holiday Fair at the Costa Mesa Orange County Fairgrounds in Bldg. 10 (same location for 24 years). Scheduled for Sunday, December 5 from 10 a.m. to 4 p.m. For more information call (714) 847-5477. BXI Southern Arizona’s Tradefair is scheduled for December 12 from 10 a.m. to 4 p.m. For more information call (520) 325-2929. Walther Smets’ RES Barter System (www.res.be) held its 2nd Annual Barter Exhibition in Brussels, Belgium, on October 17 and 18 with more than 150 exhibitors offering first class goods and services. RES Barter System is one of Europe’s largest and finest trade organizations with 4,500 members in Belgium. Thailand’s Ministry of Commerce is bartering with Sweden and Russia by providing 100,000 tons of fresh chickens for various imported products. Continental Trade Exchange, a subsidiary of International Monetary Systems (OTCBB:INLM), has opened an office in Santa Monica (CA) to serve the greater Los Angeles area. It is the company’s first step in an internal expansion strategy of entering strategic markets where they have been unable to acquire an existing trade exchange. Jim Briner, the western states sales manager, reports the new office enrolled more than 50 clients in the first three weeks. 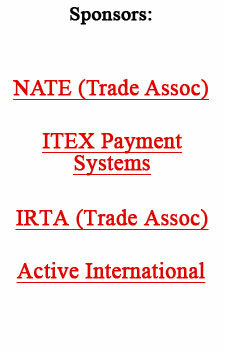 Trade exchange owners who are members of the National Association of Trade Exchanges (NATE) trade with one another by using a currency called the BANC. The BANC High Five Club (exchanges doing over $10,000 in sales a month) produced the following numbers in September: Continental Trade Exchange $66,206, Illinois Trade Association $63,045, The Barter Company $26,631, BizXchange $22,743, Alamo Barter $14,954, Crescent City Exchange $14,509, Midwest Business Exchange $13,500, and New England Trade $12,119. Russian oil company Yukos had to pay billions in tax liabilities recently, but was able to avoid bankruptcy, and keep the oil shipments flowing. It was accomplished by striking a barter deal with giant pipeline company Transneft...paying for services with oil. Radio host Howard Stern’s $500 million deal to move to Sirius Satellite Radio in 2006 includes a 20% ($100 million) barter component. Since the payment is in the form of stock, it could become as lucrative as the cash payment, given the stock price was around $3.40 (off its high of $65) when the deal was done. What’s the fastest growing group in the U.S., according to the Census Bureau? The Hispanic population, which grew 61% from 1990 to 2003, exploding to 35.3 million people from 21.9 million. Some studies suggest the population will triple in size by 2050. Most Americans are planning to curb their holiday spending this year, making it a challenging shopping season for U.S. retailers. Such news has trade exchange owners excited about the coming season, as members increasingly look to use trade for completing their shopping lists. Private investment partnerships, known as hedge funds, are continuing to be attractive to the well-heeled investor. (The investor must make an initial purchase of at least $250,000 and show a net worth of $1 million.) The number of funds now numbers 5,900, up from 2,500 a decade ago. And in just the last four years the funds under management have also doubled, to about $870 billion. Clear Channel Communications, the nation’s largest owner of radio stations, set out earlier this year to cut their standard 60-second spots in half. The plan is meeting some resistance, in that the radio industry typically charges more (per second) for a 30-second spot. In fact, a 30-second spot typically costs about 80% of the price of a 60-second spot.